As if there weren't already enough obstacles standing in the way of a Pacquaio v. Maywather super fight, this had to happen. In all seriousness though, the crime Mayweather admitted to is disturbing. The champ plead guilty to assaulting the mother of his kids while in front of their children in September of 2010. 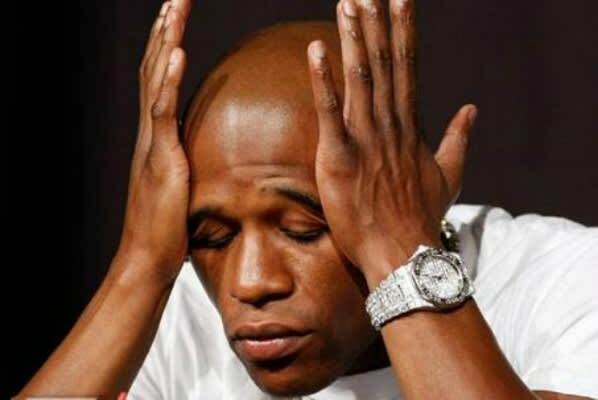 Mayweather has faced domestic violence and assault charges before (2002, 2004, 2005) but never received more than suspended sentences, fines, community service, and house arrest. The three months in the can this summer is well-deserved but we think a mandatory bout with Pacquiao, with Mayweather's entire purse going to a domestic violence charity, would be more suitable.